Antimony project preparation. Today I started with preparions to make the red tincture of Antimony. To pulverise this stibnite in the mortar is hard work but also cautious work. I used gloves and a mouth cap. Beside this the energies involved in this stibnite are very heavy. So this will take time. This is the time for contemplation and with the story of the birth of Jesus in mind I was pondering on the symbolism from the approach of the alchemist. This is my personal view so it has no authority whatsoever nor I do any claims its valid. Its a personal interpretation from an alchemical point of view. In the Royal Art great things and important processes develop from the darkness and in silence. Before the light of the sun is bearable for the end product involved it should be matured in the darkness like the process of incubation. Like Christmas it is the darkest part of the year an King has born in this part of the year. The silence and the darkness is needed to contemplate as well. Then a Star is seen bij the Wise of the East (the greater light the part the sun rises), those three Wise are the three higher principles of the mind. The Star as such is in Alchemy a sign that a process was successful. Like the Star Regulus of antimony. Regulus means ‘little king’. From this point on Joseph and Mary are the two lower aspects (lower binary) of our mind united that resulted in the birth of Christ the Savior. The ‘Lapis Philosophorum’ the medicine for all has come into life. In that aspect its the savor for the Adept to accomplish the Great Work and a step ahead on the Path of evolution. The accomplishment of our ‘inner Kingdom’ in order to help others on the path of evolution. 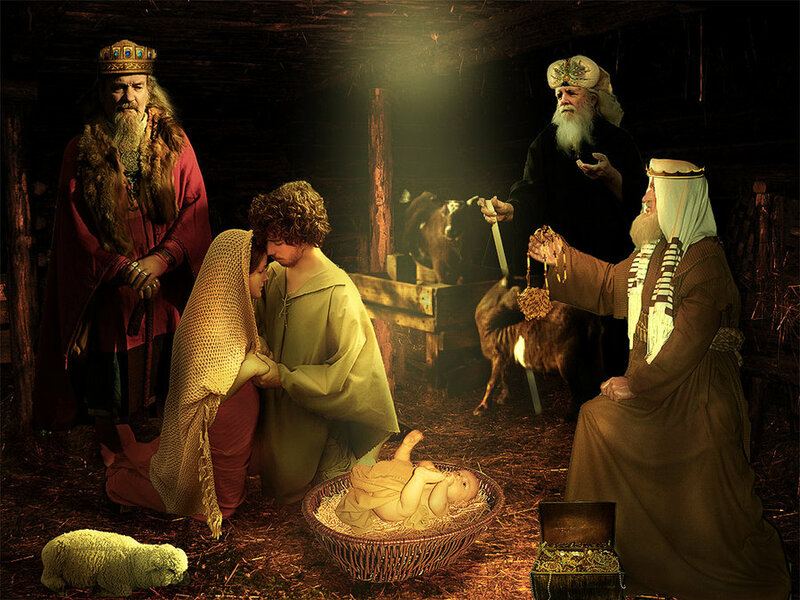 Obviously many more things can be added on the symbolism involved into the scene and story of the birth of Christ.